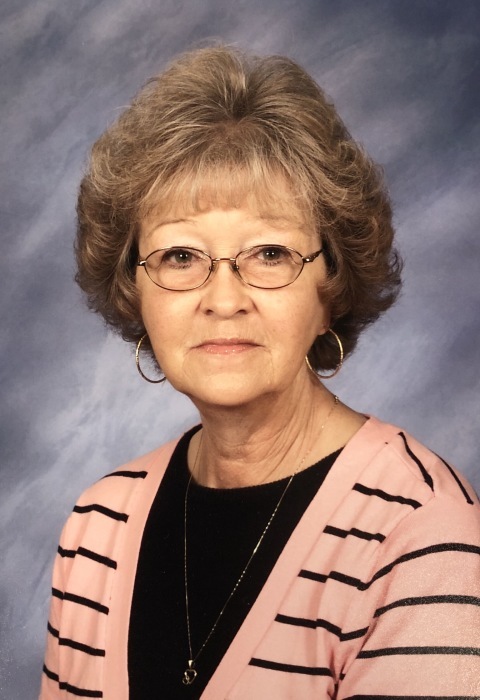 Imogene White, 72, Linda Drive, Hopkinsville died Saturday April 6, 2019 at Baylor Scott & White Medical Center in Plano, Texas of natural causes. Services will be at 11:00 am Saturday, April 13, 2019 at Lamb Funeral Home with Dr. Joe Bufford officiating. Burial will be in Green Hill Memorial Gardens. Visitation will be Friday 5:00- 7:00 p.m. at the funeral home. A native of Todd County, she was born February 25, 1947, the daughter of the late Charles Franklin Meredith and the late Bertha Jewell Wallace Meredith. She was a assembly worker at Flynn Enterprise and was a member of Hillcrest Baptist Church. In addition to her parents, she was preceded in death by her husband, Michael Joe White. Survivors include her son, Michael "Chance" White, Texas; her brothers, Delmer Meredith, Hopkinsville; Harold (Helen) Meredith, Kansas City, Kansas; Roger (Joan) Lamb, Murfreesboro, Tennessee; her sisters, Debbie (Hoyt) Shipp, Shirley Matthews, Sue Morrone, all of Hopkinsville, Sylvia (Bobby) Broadbent, Dawson Springs, Kentucky; her grandson, Matthew White, Hopkinsville; and 1 great grandchild. Expressions of sympathy may take the form of memorials to Hillcrest Baptist Church 920 Skyline Drive, Hopkinsville, KY 42240.